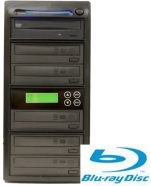 Bravo SE is an "all-in-one" disc publishing system. It combines fast, automated robotic CD / BD / DVD duplication along with full-color, 4800 dpi direct-to-disc printing - all in one compact, desktop unit. Bravo II is an "all-in-one" disc publishing system. It combines fast, automated robotic CD/DVD duplication along with full-color, 4800 dpi direct-to-disc printing - all in one compact, desktop unit. This is one of the most innovative continuous light sets. It gives you the most powerful light for your photo shooting experience. It comes with a set of 3 continuous lights. This light set delivers 1000 watts of power and the whole set of light delivers a total of 3000 watts power. Fluorescent Continuous Lighting is a relatively new product being used for movie, video and still photo production today. It is widely considered the best overall lighting source for production. It delivers a smooth warm highly diffused light source which is almost always the most desirable type of light source for video and still photography production. Fluorescent bulbs are extremely efficient requiring only 1/4th the electrical current of Tungsten to achieve an equivalent brightness. Their greater efficiency results in a bulb that runs completely cool. Heat generation from the bulb is negligible. The Lowel DV Creator kits combine some of our most popular lights with accessories for increased versatility. A 500w max. focusable Omni-light, a 250w focusable Pro-light, & a 750w max. broad throw Tota-light, with Uni-stands and a handful of light controls in a compact hard or soft case.